Our module has been using two different versions of the e-paper display from Pervasive Displays Inc; EM027BS013 or EM027AS012 and unfortunately these are not 100% software compatible. 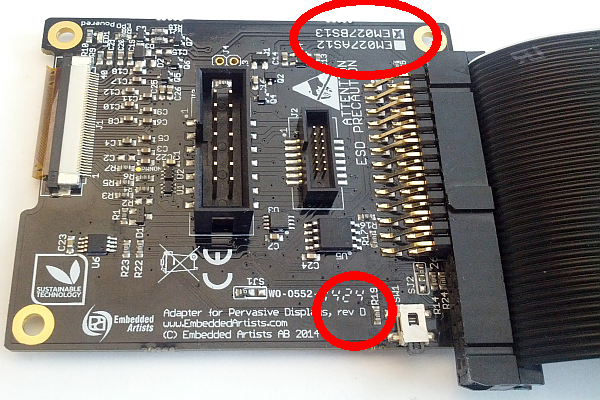 Look at the back of the module and first identify the revision as shown in the figure to the right. If the revision is A, B, or C you have EM027AS012. If you have revision D you also need to look at one more part of the back to see which version you are using. 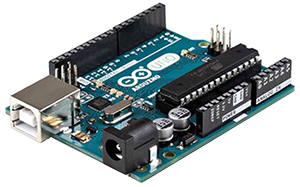 Most revision D modules use EM027BS013. When you have identified which display that is mounted it is important that you use the correct instruction and example code. If you don’t get an image on your display you are likely using the wrong example code. 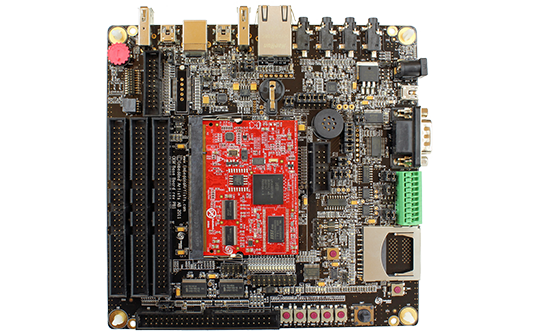 These projects have been created for the LPC4088 Developer’s Kit under the LPCOpen framework. 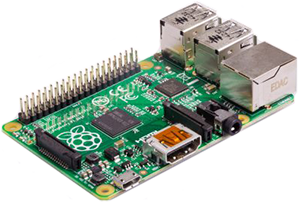 (Keil/uVision, LPCOpen 2.10) This project has been created for the LPC1788 Developer’s Kit and the AOAA board.